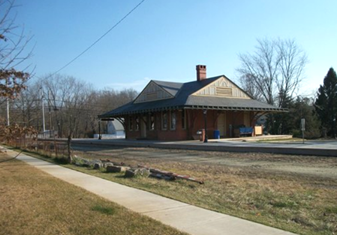 The Railroad Station was built in 1892 by John S. Rogers of Moorestown. The North Pemberton Railroad Station was in active use until 1969, when the last direct rail service between Pemberton and Camden ended.It replaced the earlier frame station which burned down in November of 1891. Restoration was completed in March, 1999. The Station is on both the New Jersey and National Registers of Historic Sites. Now owned by Burlington County, this historic building was once owned by the Township of Pemberton. 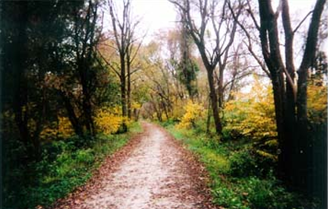 You can walk or ride your bike on the beautiful 2.5 mile rail trail and allow the spirit of the past to take you back to a simpler time. 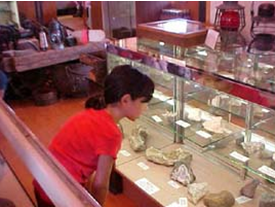 The museum’s gift shop is filled with many historical artifacts related to the railroad, the cranberry and blueberry industry, and the regional history. All artifacts were donated by dedicated volunteers and local historians who make it possible for everyone to appreciate these fine relics. The Railroad Station is now owned and maintained by the County of Burlington, and as of this writing the gift shop is not open. Rex Marshall (1919-1983), actor, television announcer and radio personality. In the early 1900s, the grist mill, changing with the times, became a feed and grain store, supporting the growing rural community and providing goods for the surrounding farms. Agway purchased the property in the late 1940s-early 1950s and continued building the feed and grain business. Eventually, the building was sold and became The French Quarter restaurant in the 1970s. The Grist Mill Antiques Center is wonderful place to thrift. A densely packed 2-story co-op filled with fascinating pieces. You will explore this treasure trove hunting for deals in the booths manned by many vendors. You can shop and enjoy the area that focuses on table-top sized items that are stacked, shelved, and stocked throughout the building. 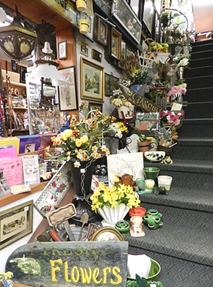 Visit the building which now serves as an antiques/craft store with the owner paying homage, not only to the storied past of the site, but also by showcasing crafting – which had always been an integral part of the community since Colonial days. The Grist Mill Antiques Center proudly sits on the parcel of land which was the site of the original grist mill and still celebrates the pioneering entrepreneurial spirit that lived in the founders of this town over three centuries ago. In conclusion, with so much to see and do virtually in your own backyard, it’s simply a continued delight to return home to Summerfields Friendly Village. The homes here offer spacious living and dining rooms with state-of-the-art kitchens and low maintenance exteriors, making life casual and enjoyable. You can customize each of these home models for your individual needs. You will enjoy many critically important benefits in a home at Summerfields Friendly Village. As a land-lease community you’ll have no real estate taxes. No water bills or sewer fees to pay. There’s virtually no closing costs. Manufactured homes are energy efficient. Modular construction uses less material while strengthening a building’s structural integrity. Call us today and we will be happy to accommodate you with a personalized tour. And, there’s no pressure to sell you anything. We believe in the excellence our community offers and that, therefore, will be evident when you visit.